Schumer, D-NY, is calling for an investigation by the Federal Trade Commission into last week’s policy changes by OnStar. The company recently reserved the right to compile and sell information about drivers’ habits, and also announced it would track users even after users discontinue the service--unless a user explicitly opts out. “By tracking drivers even after they’ve cancelled their service, OnStar is attempting one of the most brazen invasions of privacy in recent memory,” Schumer said in a written release. OnStar claims that customer’s rights have not been violated and that customers have been fully informed of the changes. Customers who tell OnStar they don’t want their data collected can still have the tracking disconnected. OnStar also says that, while it has reserved the right to sell customer data, it has no plans in the works to do so. 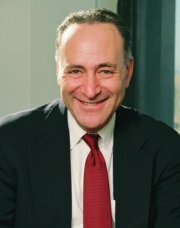 Schumer called on the FTC to investigate if the policy changes are an unfair or deceptive trade practice. Schumer also wrote an open letter to OnStar executive Linda Marshall to urge her to reconsider the changes. Schumer has made tech security a focus of many of his recent announcements. For now, however the OnStar changes seem here to stay. OnStar is owned by General Motors and has more than six million U.S. customers who could be affected by the changes.